Millions may lose coverage next year if Congress does not repeal Obamacare. That’s not what this week’s Congressional Budget Office (CBO) analysis says, but it is reality. CBO’s estimating models seem impervious to reality. In the real world, the Obamacare exchanges are in crisis, millions of uninsured people willingly pay or avoid IRS penalties, and consumers struggle with rising premiums and cost-sharing requirements. But for CBO, Obamacare is a sea of tranquility. The agency assumes that only 26 million people under the age of 65 will be uninsured this year and next if Obamacare is left in place. To hit that mark, 2 million fewer people would have to be uninsured this year than last. That seems unlikely. The National Health Interview Survey (NHIS) estimates that 27.9 million people under age 65 lacked coverage as of September 30 last year, the most recent date for which government survey data are available. That represents little improvement over its estimate of 28.4 million as of December 2015, meaning that the number of non-elderly uninsured declined by only half a million through the first nine months of last year. Since then, the Obamacare individual exchanges have begun to implode. Fewer people signed up during the open-enrollment period this year than last, due in part to premium hikes that averaged 25 percent. Other insurance companies didn’t bother raising prices; they fled the exchanges. By January, 1,000 counties were down to their last insurer. Five entire states have just a single company selling through the exchanges. A rational observer might worry that the exchanges were on the brink of doom. Not CBO. Its analysts believe that Obamacare is on the cusp of a miracle. The number of nonelderly uninsured not only will drop this year but hold steady in 2018, according to CBO, even though millions could find themselves without an insurer in their exchanges. That improbably happy outcome would change, the agency says, if Congress were to enact its repeal bill. In that case, CBO warns, the number of uninsured will abruptly increase by 4 million. That includes 2 million Medicaid beneficiaries. CBO believes they will drop out of a program for which they pay virtually nothing and that fully pays virtually all their medical expenses. Ditto for 1 million people in the exchanges and an additional million with job-based coverage. CBO believes that these 4 million people so detest being insured that they will drop out of the system immediately after Congress repeals the tax on the uninsured. That number will rise to 14 million next year, according to CBO. That includes 5 million who will abandon Medicaid, 2 million who will drop their employer-sponsored coverage, and 6 million who will leave the exchanges. These 14 million people will not, despite what you’ve read, “lose coverage.” For the most part, CBO says, they “will choose not to have insurance because they chose to be covered by insurance under current law only to avoid paying penalties” [emphasis added]. The GOP bill not only retains existing subsidies and Medicaid expansion through 2019, it provides additional money to states to stabilize their failing Obamacare exchanges. But that spending, according to CBO, won’t halt the stampede to the Obamacare exits induced by repeal of the individual mandate. CBO’s illusions about the effectiveness of the mandate doesn’t square with reality. 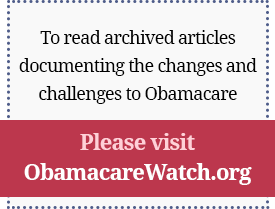 The evidence suggests that the mandate has done little to reduce the number of uninsured. The IRS reports that in 2015, 6.5 million paid the penalty, 12.7 million obtained an exemption, while 4.3 million simply ignored it. That’s 23.5 million people who have chosen to be uninsured despite the government’s threat of tax penalties. Let’s do the math. NHIS estimates that 44.3 million non-elderly were uninsured in 2013, the year before Obamacare was fully implemented. If CBO is to be believed, the number of uninsured will increase by 14 million next year, joining another 23.5 million uninsured people who either paid the tax in the past or found a way to avoid it. That would mean that 85 percent of the uninsured (37.5 million out of 44.3 million) apparently would want nothing to do with Obamacare’s government-defined and subsidized benefits were Congress to repeal the individual mandate. If CBO is correct, the government will have spent $462 billion between 2014 and 2018 on subsidies and Medicaid expansions, only to end up reducing the number of nonelderly uninsured from 44.3 million to 41 million. It is also possible that CBO is wrong about the individual mandate. That seems intuitively obvious to people whose heads aren’t buried in CBO’s faulty models. Some future progressive government may well decide to attack the problem of homelessness by supplementing the mortgage-interest deduction with a tax on the homeless. But does anyone believe that if a Republican Congress repealed that tax, homeowners would shred their mortgages and head to the grates? CBO’s estimates of the effects of the GOP bill are deeply flawed. They begin with rosy assumptions about the current law. In the face of considerable contrary evidence, they assume that insurers will continue to sell in the exchanges next year and that there will be no appreciable disruption in coverage. They appear to believe that higher coverage rates that have occurred since 2014 are more attributable to tax penalties than to subsidies, despite feckless IRS enforcement. And they assume that even if Congress keeps the tax credits and Medicaid expansion in place next year and spends additional money to stabilize insurance markets, 14 million more people will join the ranks of the uninsured. 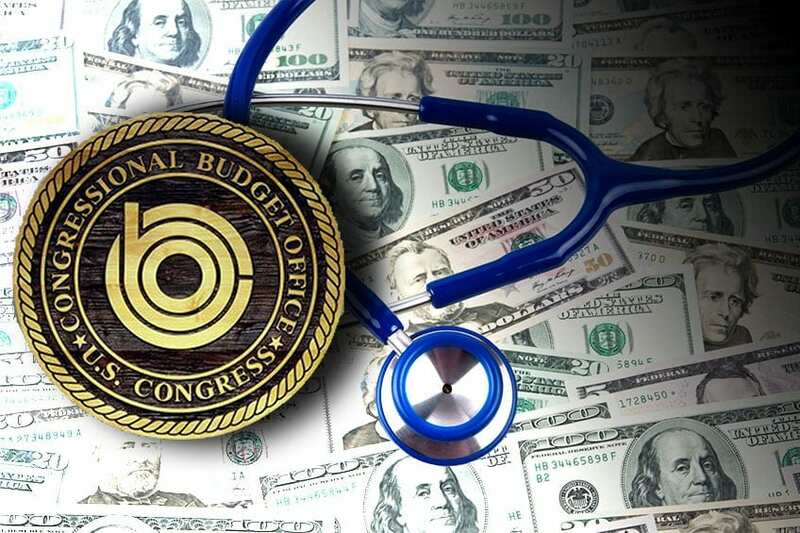 Congress should set policy based on reality, not on CBO’s speculations. Obamacare exchanges are falling apart, Medicaid spending is growing at an excessive pace, and taxing the uninsured is both ineffective and politically unsustainable. The House and Senate should act now to stabilize those markets, repeal the law (including the individual mandate), and replace it with a system that puts doctors and patients in control of health-care decision-making. — Doug Badger is a senior fellow at the Galen Institute and a former White House and U.S. Senate policy adviser.